A very proud Woodrow has cracked finding three quarters of an amount! Just look at that fantastic presentation! Well done Woodrow and all of Year 2 who have worked extremely hard this morning. 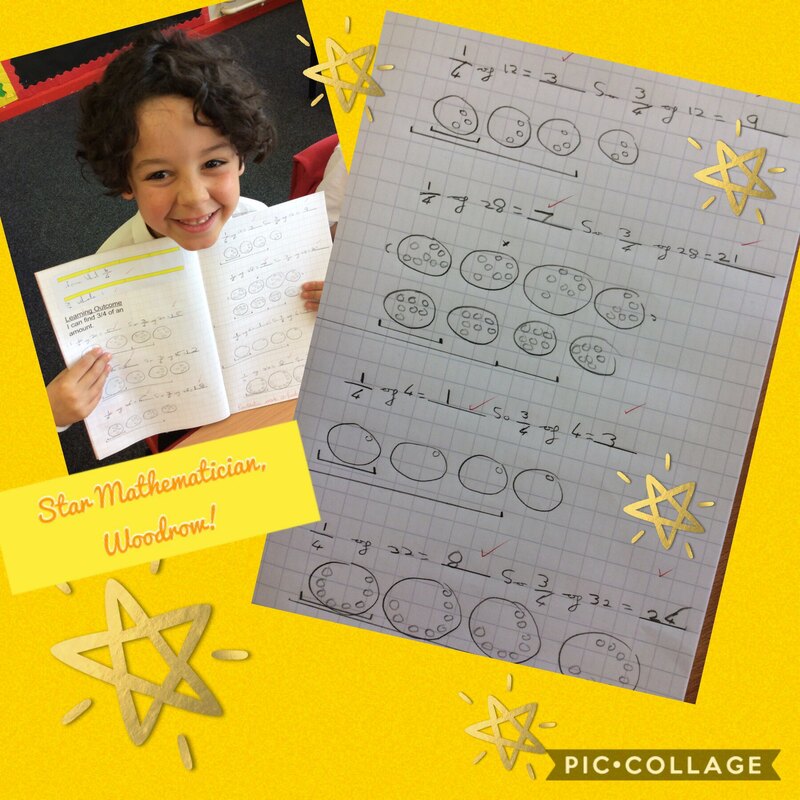 This entry was posted in Year 2 and tagged Maths on April 5, 2019 by Sandford Hill. 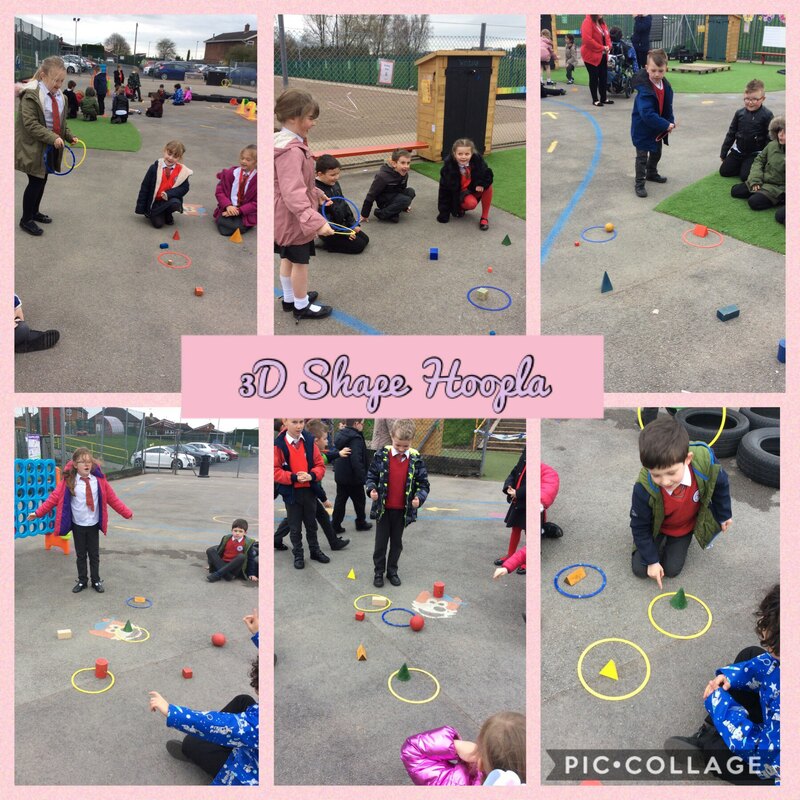 Year 2 have had a great afternoon playing 3D Shape Hoopla! The children had three goes each at catching a shape. They then had to name and describe the 3D shapes they caught. Great fun! This entry was posted in Year 2 and tagged Maths on March 22, 2019 by Sandford Hill. Year 2 have had a great morning learning all about division. The children used concrete apparatus to develop their fluency in sharing objects equally. Once they were secure, they moved on to drawing pictures to divide numbers. Finally, the children recalled known number facts (2s, 5s and 10s) to divide mentally! What a fantastic morning. Great maths everyone! This entry was posted in Year 2 and tagged Maths on February 26, 2019 by Sandford Hill. 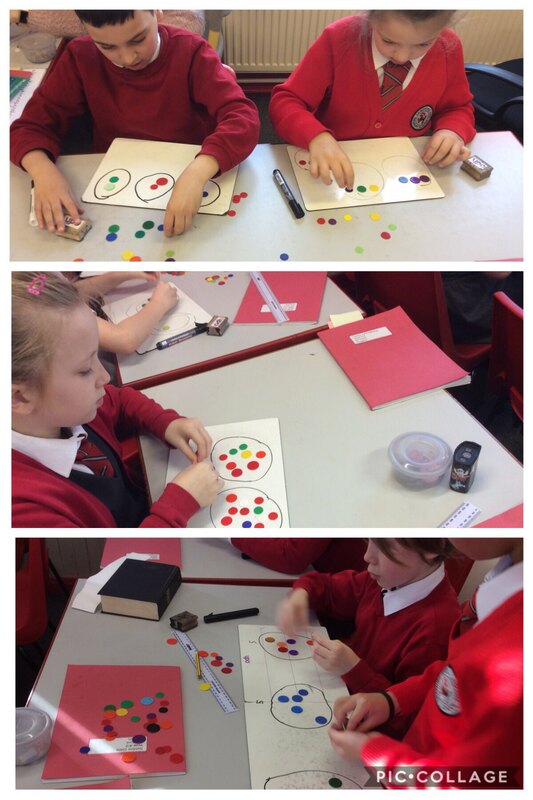 Year 4 are continuing to learn about division. Today we are thinking about what happens if we cannot share our tens equally. For example, if we did 45 divided by 3, we could share 3 of the tens equally, but would have another ten left over! Year 4 said that we can exchange that ten for ten ones, and add it to the 5 ones that we have from our original number. So, we would then have 15 ones that we can share equally between 3 groups. 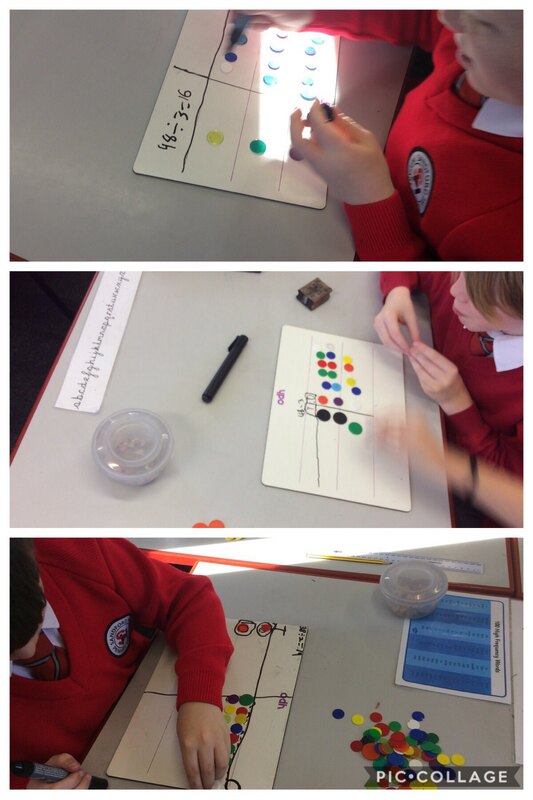 The children worked really well using counters to show how we exchange. This entry was posted in Year 4 and tagged Maths on February 11, 2019 by Sandford Hill. Year 2 are having great fun with multiplication this week. For those calculations that we aren’t yet able to solve mentally, we have been using apparatus and drawings to create arrays. For our known multiplication facts, we have been playing games to sharpen up on our rapid recall. Great work! This entry was posted in Year 2 and tagged Maths on February 7, 2019 by Sandford Hill. 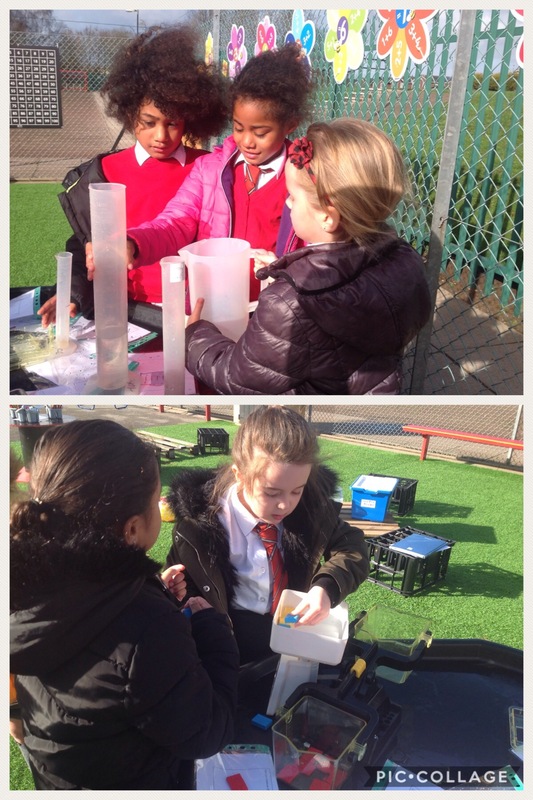 Year 4 Divide – And Conquer! Year 4 have started to learn about division today. We learned that when we divide, we have to share things equally into groups. We took counters, and working together, divided them equally. For example, if we had 15 counters and shared them into 3 groups, we found out that each group would have 5 counters. The children worked really well with their partners and quickly identified that we can use our times table knowledge to check if our answers were correct! This entry was posted in Year 4 and tagged Maths on February 6, 2019 by Sandford Hill. Double Trouble In Year 4! Year 4 have been sharpening their mental maths skills this afternoon. We have been practising our doubles skills! We played a game involving dice. Children rolled 2 dice and then made a 2 digit number from the numbers rolled. They then had to double their number, and colour the double on the grid. 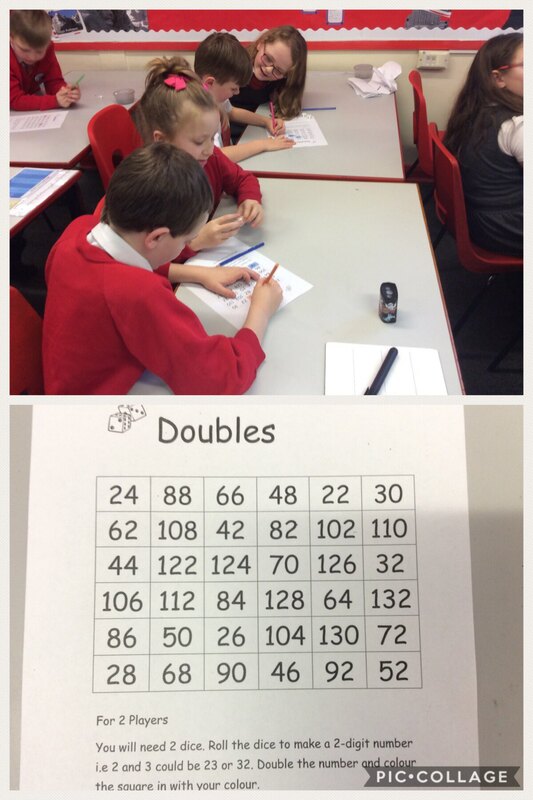 The children had fun and really improved their fluency with doubling. If you want to play at home, a quick Google search can bring up an online dice that can roll two dice for you! Can anyone suggest how I can use my doubling skills to multiply a number by 4? Let us know in the comments. This entry was posted in Year 4 and tagged Maths on February 1, 2019 by Sandford Hill. 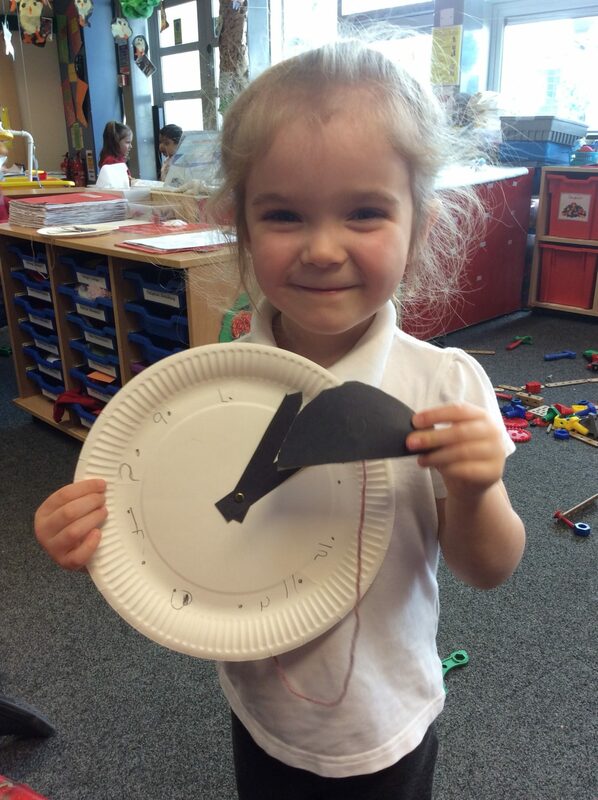 This week we have shared the nursery rhyme Hickory Dickory Dock. The children have made a variety of different clocks using paper plates, sugar paper and play dough. They have worked hard trying to put the numbers around the clock in the correct order and have wrote some brilliant numbers! Today the children will be bringing home a number key ring to help with their number recognition. This entry was posted in EYFS and tagged Maths on February 1, 2019 by Sandford Hill.